Flashback Friday: Look, It's MacGyver! 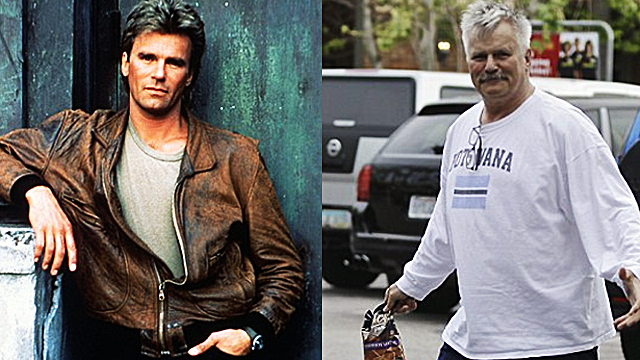 MacGyver, or Richard Dean Anderson, 23 years later! For those of you who don't have an idea who the hell he is, let's just say that Angus MacGyver was the ultimate craftsman. The role of the secret agent slash inventor with a fondness for duct tape and Swiss army knives was played by 35-year-old actor Richard Dean Anderson, who certainly didn't look like he was in his mid-30s at that time. More than the character's knack for jury-rigging—building something using only materials present—and all his MacGyverisms, Anderson's good looks inarguably helped the show last for seven seasons (19885-1992) and be etched in the minds of viewers everywhere.